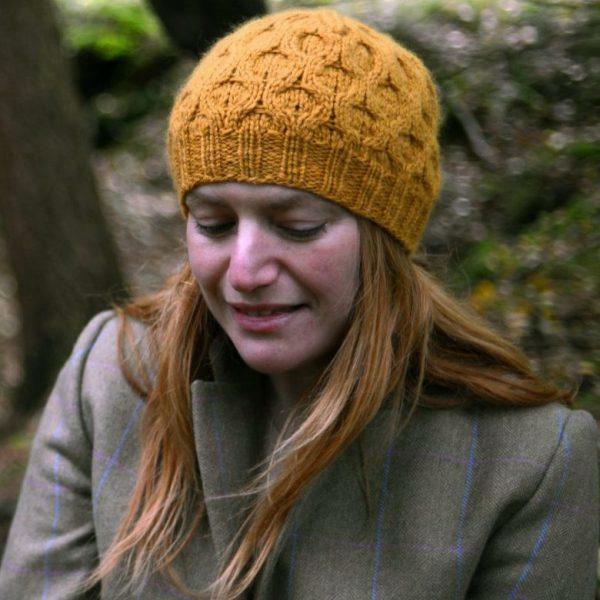 Albina McLaughlin is a knitter, writer, and recovering academic. Taught to knit at a young age in the improvised manner of Eastern European folk tradition, she considered herself for some time an “illiterate knitter,” never having learned any knitterly terminology. It was not until 2016. when she was asked to lead a knitting workshop, that she finally taught herself how to read patterns, mostly so that she could communicate with her students and write patterns of her own. Shortly thereafter, LB Handknits was born. Today, Albina enjoys designing for independent yarn manufacturers and dyers, while exploring the possibility of producing her own sheep-to-skein yarns. Inspired by the Irish weather and a cyclist’s outdoor lifestyle, she loves working with beautiful, breathable, locally sourced fibers. Albina’s designs can be found on her website and also on Ravelry.